To die for! A must when in KC! This shop features some delicious handcrafted truffles that are to die for. Customer service was outstanding and my kids loved all the goodies I brought back for them. I recommend the white chocolate covered Oreos and the snowball truffle! Drove downtown to see the lighting of the gigantic Christmas Tree inside Union Station and had a wonderful time although the crowd was enormous but worth the effort completely! Family fun and lots of choices of great chocolate treats! YUM! This is your place if you have a sweet tooth. We went to the Union Station location. Carmel apples are delicious! Would recommend. Located right outside the children’s museum so of course you have to stop in. The chocolate items are higher end so the kids might not fully appreciate the quality but there’s ice cream available. This is a good candy place inside of Union Station. We often get pieces of candy for a snack and ice cream occasionally. It's all good. 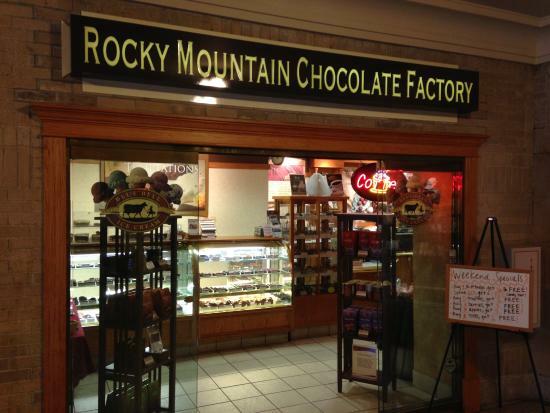 OK...so I am from the Rocky Mountains...so why go to a Rocky Mountain Chocolate Factory when in KC? Because it is Chocolate!!! They have very very good chocolate. Some of the best anywhere? No. But very, very good! Busy on a week day! Great chocolate, great people. We received great service and yummy chocolate. Great chocolate is not cheap chocolate, but well worth it! We went recently and even though it was crazy busy everyone was super friendly. 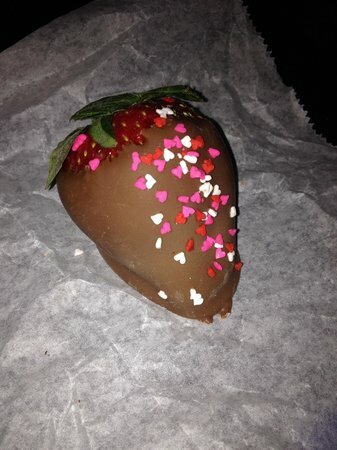 The chocolate was really good too! I can't resist stopping here for a caramel apple for my car ride home. YUMMY. All the chocolate goodies here are great. But once you have a favorite it's hard not to always get that.